Congratulations on producing an informative and inspiring website. My question concerns the relationship between the consumption of fat (particularly but not exclusively saturated fat) and serum cholesterol levels. I am based in the U.K. and here most doctors tell patients with high cholesterol to reduce their intake of dietary fat based on the assumption that the latter is responsible for the former (I suspect that the same advice is given to patients in the U.S.). However, I have read that dietary cholesterol affects serum cholesterol in only 10% of the population so for the majority of patients (90%) this advice would be ineffective. Can you identify published research in refereed academic journals which demonstrates that dietary fat intake does not influence serum cholesterol levels? Please don't worry about the difficulty of me reading these papers as I am a university professor and scientist and have read and commented on many such papers. Best wishes and keep up the excellent work. Thank you for the compliments about my site. Your question is a great one - one that many do not even think to ask because the "evidence" is supposed to be so solid. "Saturated fats will clog your arteries and destroy your health." You hear this everywhere from everyone, yet it is not true. A causative link between over-consumption of saturated fats with heart disease and high cholesterol has never been found. Not even close. Not many know that this all started with a single paper back in 1953 authored by a physiologist named Ancel Keys. The paper was "Atherosclerosis, a Problem in Newer Public Health." He showed data from six countries that supported his hypothesis. At one end was Japan - a country that ate little fat and had few deaths from heart disease. The U.S. was on the other end of the spectrum - high fat intake and high numbers of heart disease fatalities. England, Canada, Australia, and Italy fell neatly in between. This became known as the diet-heart hypothesis. There were major criticisms of Keys work. One being that this data proved nothing but a potential correlation between fat consumption and heart disease. The more damning one, however, was that Keys had selectively picked out the countries that fit nicely on his chart. There were data from 22 different countries, not six. When you plot all 22 countries, any link between fat consumption and heart disease vanishes. Despite these and other flaws in Keys paper, the American Heart Association started heavily promoting the diet-heart hypothesis. Keys went on to further publish that saturated fats found in animal foods led to heart attacks - using the same kind of flawed research from his previous work. We've spent billions of dollars on studies looking for support for the diet-heart hypothesis, but I am not aware of any that have shown a direct link between saturated fat consumption and heart disease. There was an excellent article from Men's Health a while back that put together a synopsis of this whole "saturated fat is bad" fiasco. They provide details of large studies like the Oslo Diet-Heart Study from 1970 and the St. Thomas' Atherosclerosis Regression Study from 1992. "What if Bad Fat is Actually Good for You?" Join in and write your own page! It's easy to do. How? 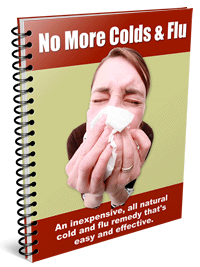 Simply click here to return to Foods to Boost Immune System Questions.